The repair network of today is not your grandfather’s or your father’s repair network; in fact, it may not even be your older brother’s repair network. Did you know that the average new car comes with more than 100 million lines of code? That’s ten times more than a Boeing 787 Dreamliner and twice as many as the Large Hadron Collider. It should come as no surprise to anyone these days that with this advanced sophistication comes unprecedented complexity in repairs. Vehicle complexity is not just related to electronics. 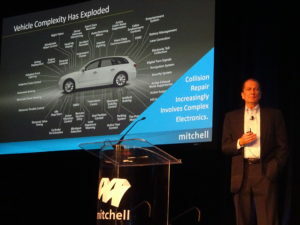 Driven by CAFE standards combined with consumer preference for Insurance Institute for Highway Safety and National Highway Traffic Safety Administration safety ratings, material composition complexity has exploded as well, based on the use of advanced materials. Comprising 13 different materials, including high-strength aluminum and high-strength steels, the Cadillac CT6 is just one example of a manufacturer’s embracing mixed materials to improve performance and efficiency. Repair shops require multiple welders, specialized repair bays, rivet guns and the latest adhesive systems to repair modern vehicles. All of these advanced joining or bonding methods require specialized training to go along with them. Also, today’s vehicles require diagnostics tools that have the latest OEM-level capabilities. Advanced driver assistance systems (ADAS) recalibrations increasingly involve OEM vehicle-specific target or mirror systems based on many common collision repair procedures, including some of which you might not even be aware. Isn’t it time for repair networks to evolve alongside the most sophisticated machines on the planet? From part details to VINs and labor times to service information, the types of data required for proper and safe repair vary as much as the amount of data does. Partial or incomplete data from OEMs and third parties create inefficiencies and delays in vehicle repair processing. What do proper and safe repairs require? To answer this question, first we must examine the significance of OEM procedures and their role in the estimating and repair planning process. While there has been a significant amount of discussion on the importance of OEM procedures as they relate to parts and repairs, there has not yet been adequate discussion of the estimating and repair planning process. What should be examined is the importance of OEM information in the estimating and repair planning process because PROPER REPAIR PLANS DRIVE PROPER AND SAFE REPAIRS. This is not just about fixing the damaged sheet metal, facias, and lamp assemblies correctly. It’s not enough to have skilled, knowledgeable technicians using visual damage assessment skills find gaps and hidden damage. The bar is being raised for the entire collision repair industry to focus first on accurate identification of all the necessary steps to repair both the structural components of a vehicle and to restore its electronic systems and software to original condition. In your grandfather’s day, damage was a predictor of specific necessary repairs. Today, OEM repair information is required to plan the repair. It’s worth repeating that from parts to operations to post-repair calibrations, proper repair plans drive safe and proper repairs. Just as generic repair methods and techniques are no longer adequate, neither is a static repair network. Continuous monitoring and adjustment of a dynamic network is required. Facilities must continually adjust their capabilities with new equipment, and new vehicles require new training and certifications for technicians. While all networks strive to deliver proper and safe repairs, one size does not fit all. Repairers are likely to participate in both OEM-certified and carrier direct repair programs. Since the KPIs and metrics for each program may differ, it is critical to have in place a system that allows for the management of proper and safe repairs, especially against varying criteria. We learned from recent litigation that the adherence to OEM repair procedures is more important than ever for making proper and safe repairs. 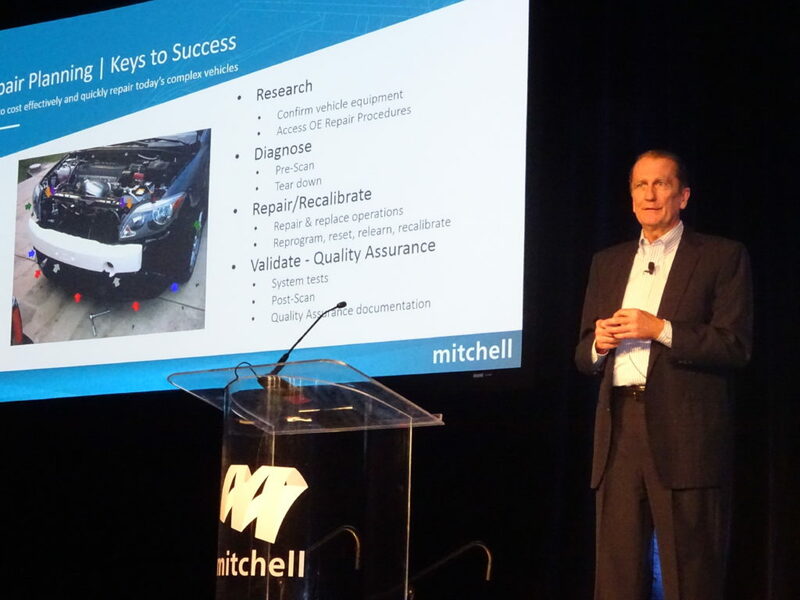 While repair networks need to be both flexible and thoroughly up to date as vehicles become ever more complex, at Mitchell, our commitment to support the industry in the delivery of proper and safe repairs remains constant. Jack Rozint joined Mitchell in 2016 and serves as the company’s vice president, Sales & Service, Repair, APD Solutions. He guides the company’s sales and service activities with its North American customers in the Collision, Glass, and Automotive OEM industry segments.